I’ve said it before and I will say it again, clean food does not have to be boring! There are endless possibilities when it comes to creating delicious and healthy meals. 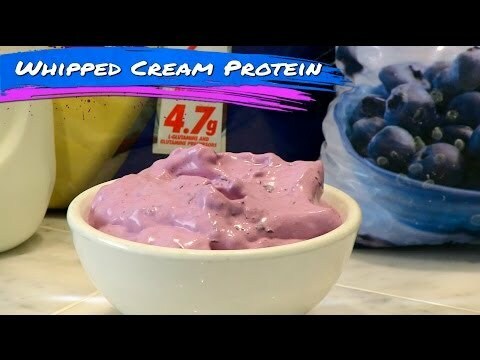 A great post workout meal, that comes from the BUFF DUDES is whipped cream protein fluff. 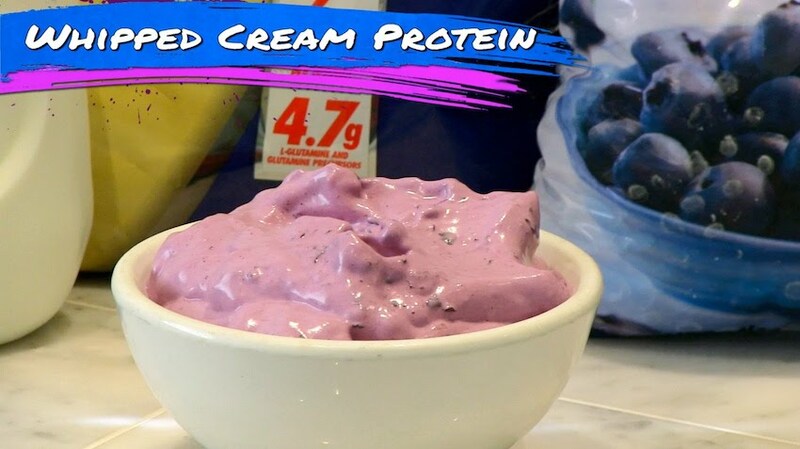 This delicious post-workout recipe tastes great and only requires three ingredients! Begin with one cup of frozen blueberries. Add a quarter cup of milk and one full scoop of protein into the bowl. Begin by mixing everything together manually. This is so when you use the electronic hand mixer, it makes it much easier and the ingredients do not go flying everywhere! Use the electronic hand mixer to blend everything together. If you do not have one, go ahead and stick the ingredients in a blender, blend, and then stir together manually with a spoon. The goal is to achieve a whipped cream-like consistency, so you want to stir for about 1-2 minutes. You can use any berry you prefer- it does not have to be blueberries. If you don’t have access to berries, feel free to use chocolate whey protein and one frozen banana. If you cannot have dairy, feel free to use any dairy substitute.